The volume of the USL teams’ goal-scoring during the Second Round of the 2016 Lamar Hunt U.S. Open Cup marked a new peak for several clubs who advanced in the tournament with some record-shattering numbers. Three sides posted a single-game record for goals during Wednesday’s matches to move on to the Third Round on June 1. Leading the charge were the defending USL champion Rochester Rhinos who bounced Southie FC 7-0 at Rhinos Stadium in Rochester, N.Y. That seven-goal effort, led by Asani Samuels’ hat trick, topped the organization’s previous high of five goals during the 2006 U.S. Open Cup, when the then-named Raging Rhinos defeated the New Hampshire Phantoms 5-1 on July 12 of that year. 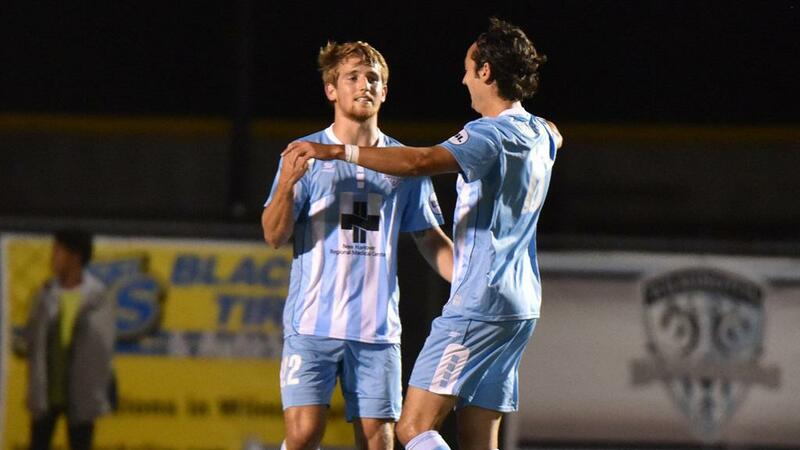 Wilmington Hammerheads FC also changed its Open Cup record books with a dominating 6-0 victory against the NPSL’s Miami Fusion, with Austin Martz and Kyle Parker recording braces.